More and more businesses these days are ditching the traditional website which outlines their services and simply opting for a Facebook page with friendly username URL such as facebook.com/businessname. Whilst part of me can understand the logic of this as far as it being quick, easy and allows you to list the basic information about your firm I can’t fully commit to the idea because of the sheer amount of drawbacks a solutions like this comes with. I just find it highly restrictive on a number of different fronts which is what I’m going to talk about today. The first thing to consider is the domain name or the address at which your customers find you on the web. Straight off the bat you’d have to agree that businessname.com or businessname.co.uk looks a million times better than facebook.com/businessname – this is a no brainer and for the £10 or less cost of a domain name – even if you end up just buying one and redirecting it to your Facebook page, it’s much better than simply advertising your address be it online or offline. Most domain name registrars in the UK will offer this service, usually free of charge. Whether it’s printed on your letterhead, you’re relaying it over the phone or you’re including it in the footer of your email – one looks/sounds professional, one doesn’t. You’ll only need a web hosting account if you want to create a proper website. You won’t need to pay any hosting fees should you solely be using a Facebook business page, even if you do have a domain name redirected to it. This could, I guess be seen as a plus but given the cost of a web hosting package is typically less than £5 a month it shouldn’t be a reason to avoid it. The cost, let’s be honest is negligible and any costs being a factor in your decision to not have a proper website are more than likely going to be down to the design and development cost. Not hosting or domain names. Most businesses take great pride in their brand name and corporate branding and in my opinion a domain name is a fantastic way to reinforce that brand. As it a proper, professionally branded corporate website. 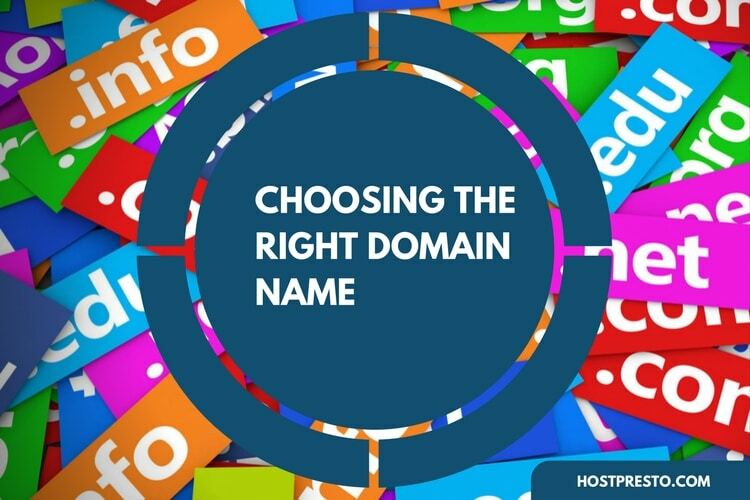 Both of these factors with the exception of a small header image on Facebook is only going to be possible with your own domain name and website. Your brand name, colours, font hierarchy and style should all be immediately apparent on any corporate material from your website right through to your letter heads and business cards. It needs to be consistent across the board. When it comes to professionalism these is one clear winner. If your business homepage is a free Facebook page it’s not going to be taken seriously. Your company is going to look small time and borderline amateur. No business can afford for this to happen. In terms of the issues, it’s not necessarily how the page itself looks or even the information contained on it that looks amateur, it’s your advertising. Can you imagine having your Facebook URL printed on the side of your van or on your corporate letterhead? It’s as bad as using a gmail.com domain for your corporate email. It’s just not the done thing. Another limiting factor is expansion. Most businesses want to grow, more profit, more locations, more employees and sometimes more products. If you want to do this successfully you’re going to be severely limited if all your branding and corporate info refers to a Facebook page. It will stifle your growth significantly. Not to mention the fact that you’ll be limited to simply posting news about your business, the odd photo and your physical headquarters address. No new content, no product info or listings, no interaction. Virtually nothing. 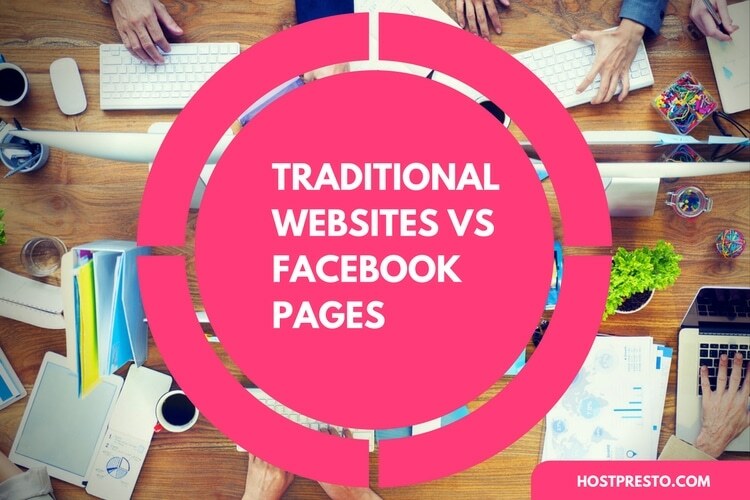 Aside from the cost factors I personally feel that your own domain name, web hosting account and even highly basic website wins out against a Facebook business page. Certainly for corporate usage. There are just too many restrictions, too many draw backs and too much potential risk for your business for me to even consider it as a viable solution. Of course that’s not to say you shouldn’t create a business page on Facebook, you most definitely should but it should be in addition to your company website, not as an alternative. In truth your business should have a profile in as many locations as possible however all of them need to refer to your primary point of contact – which should be your website.